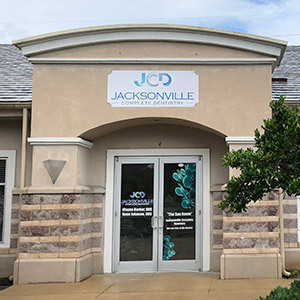 Welcome to Jacksonville Complete Dentistry! We’re glad you’re here, and we look forward to making your oral healthcare a truly terrific experience. When you visit us, there’s no tedious waiting around, no overly sterile and uncomfortable environment, and no rushing. Instead, our dentists and team members are 100% committed to making you the center of attention. Our dental office is clean and comfortable, and our available services cover a comprehensive range, from simple checkups and cleanings to advanced options like surgical dental implant placement, sleep apnea treatment, TMJ therapy, and more. Are you ready to visit a dental practice that truly has your best interests at heart? Here in Jacksonville, we hope you’ll give us a chance to exceed your expectations. Contact us today if you have any questions, or if you’re ready to schedule a first appointment. Far too often, patients finally find a dentist they like only to discover that the practice doesn’t offer any of the advanced services their smile needs. You can travel to a specialist, sure, but that takes up so much extra time – not to mention the fact that you have to become comfortable with a new doctor and office all over again. 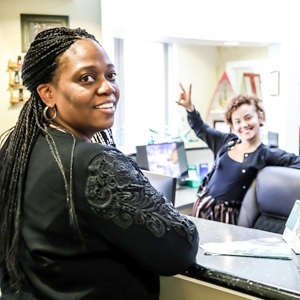 At our practice, we’re proud to offer an impressive variety of care options right here in one convenient location so that our valued patients don’t have to deal with these frustrations. 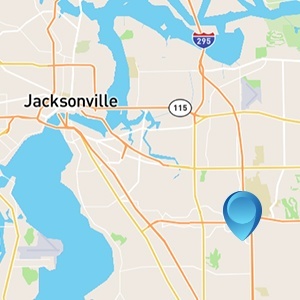 Whether you’re simply overdue for a checkup or desperately in need of emergency dentistry, the Jacksonville Complete Dentistry team never wants to be far away. That’s why our office is in a great central location at the intersection of 295 and J. Turner Butler Blvd. It’s hard to miss us – we’re right across from the IKEA! If you need more detailed directions, don’t hesitate to let us know. Paying for the quality dental care you and your family need shouldn’t have to be a headache-inducing experience. That’s why several flexible financial options are available here in Jacksonville for our patients to choose from. Dental insurance is always welcomed, and our team members are experts at helping you maximize the benefits available to you through it. We also have both an in-house payment plan and third-party financing options so that it can be much easier to manage your overall treatment fee.